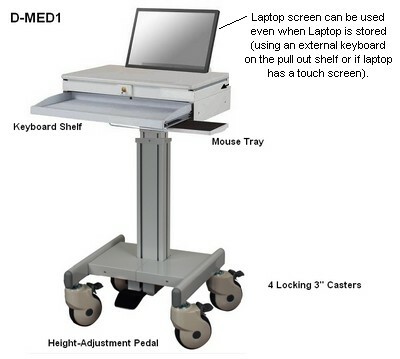 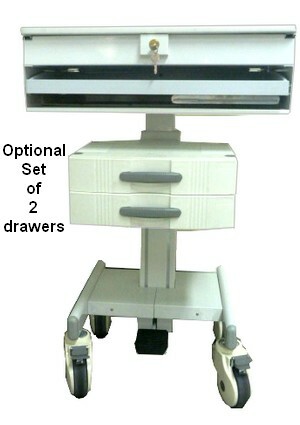 With this medical cart, you can use a laptop as a CPU. 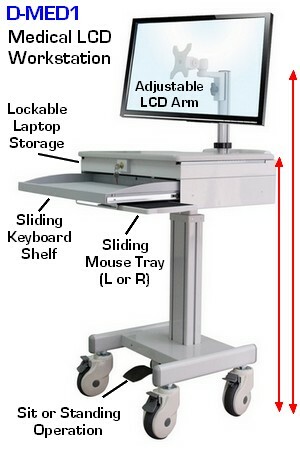 You add a keyboard on the keyboard tray plus a monitor on the LCD bracket, as shown below. 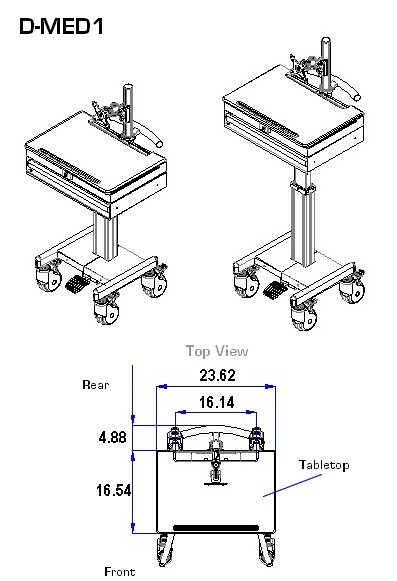 If you prefer, you can also use the laptop's own screen, which can be set up vertically through the rear of the tabletop, as shown lower on this page. 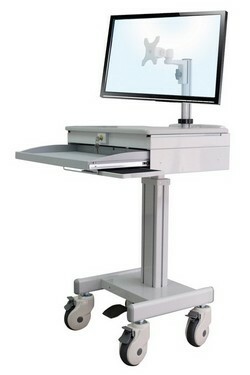 The height of the table easily adjusts via a foot-pedal, from 35 to 47.5". 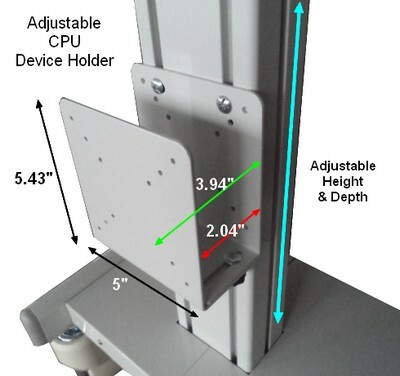 Now, we even include the optional adjustable CPU holder for free (see below). 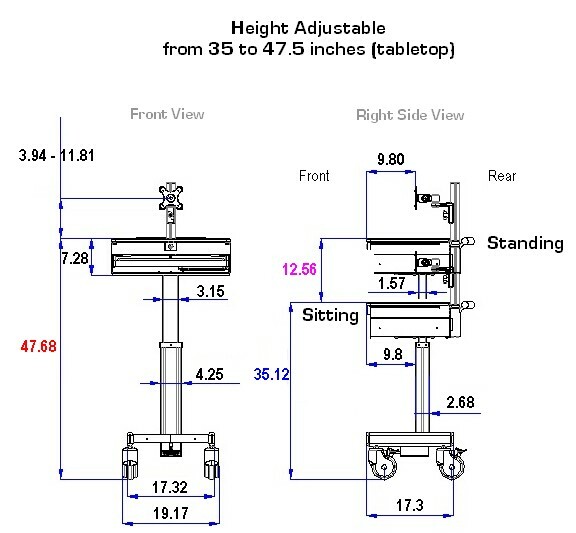 - Sit AND Standing operation: from 35" to 47.5"
- Can store and lock laptops with 16" screens.